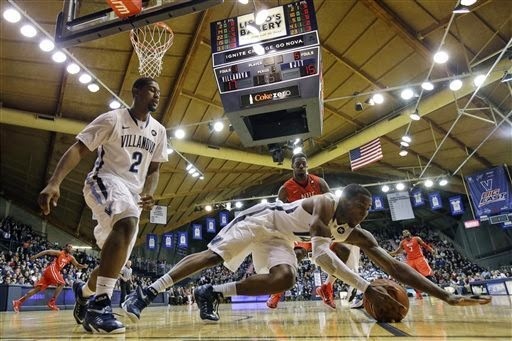 Villanova, PA -- With stingy defense and a balanced attack, the No. 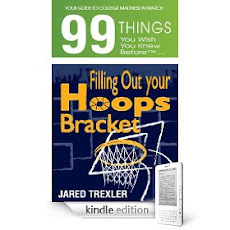 6 Villanova Wildcats opened Big East play and managed to match a long-held team record with a 67-55 win over the Butler Bulldogs in the final game of 2014. Ryan Arcidiacono led Villanova (13-0, 1-0 Big East) with 15 points and five assists. JayVaughn Pinkston netted 13 points and Daniel Ochefu chipped in 10 points, nine rebounds and five blocked shots. The Wildcats have only started 13-0 one other time in team history, back in 1937-38. "This is not a team where you can key in on one or two guys, where you can neutralize them in a particular game," said Butler interim boss Chris Holtmann. "One of the strengths of their team is balance." The Wildcats limited the Bulldogs to 35.5 percent shooting, including just 5- of-21 inside the arc in the second half. Butler (10-4, 0-1) was paced by Andrew Chrabascz's and Alex Barlow's 12 points each. Kellen Dunham netted 10 points, but Roosevelt Jones was limited to eight on 4-of-15 shooting. Trailing just 36-32 at the break, Butler let the game get away from them in the opening minutes of the second half. Darrun Hilliard scored seven straight points coming out of the break to extend the Wildcats' advantage to 11 points. "I thought in the first half they executed a little better than us, played a little harder than us," said Villanova head coach Jay Wright. "I thought in the second half we were really good defensively." Jones hit a layup to end the Hilliard run, but Butler made only two more shots from the floor over the next 7 1/2 minutes as Villanova extended its lead to as much as 16 in the second half. With Butler's poor shooting, the Wildcats could have run away for the game if not for their own struggles from the free throw line. 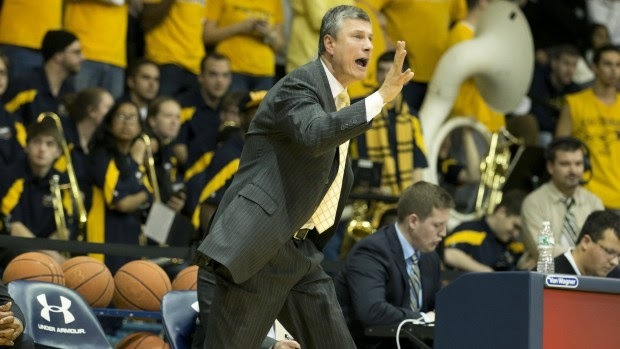 They only shot 13-of-22 at the charity stripe in the second half and 61.5 percent for the game. Villanova only hit two 3-pointers in the second half, but the second one by Kris Jenkins with 13 1/2 minutes remaining ran the Wildcats' lead to double digits where it would remain for the rest of the game. Butler never led, but the Bulldogs hung in the game by dominating the offensive glass with a 17-3 advantage. They converted those extra rebounds into 11 second-chance points. The Bulldogs opened the game shooting just 1-of-10 from the floor, but back- to-back triples from Barlow and Austin Etherington helped them tie the game at eight just over six minutes into the contest. Notes: Villanova improved to 4-0 all-time against Butler, the program located in Indianapolis and once the pride of the Horizon League ... Hilliard missed Villanova's last game with a concussion ... The Bulldogs owned an 11-4 advantage in fastbreak points ... Both teams play next on Jan. 3 with Villanova traveling to Seton Hall and Butler visiting St. John's. Montreal, QC -- With a little more than four minutes remaining and the host country ahead by two goals, partisan fans who packed the Bell Centre began to perform the Ole! chant prevalent at Montreal Canadiens games and then proceeded to do The Wave. Only problem, Team USA didn't think the outcome was sealed just yet. Dylan Larkin scored twice in a span of 1:52, his final goal coming with 41.2 seconds left in regulation, and the Americans turned a 3-1 contest into a 4-3 nail-biter. 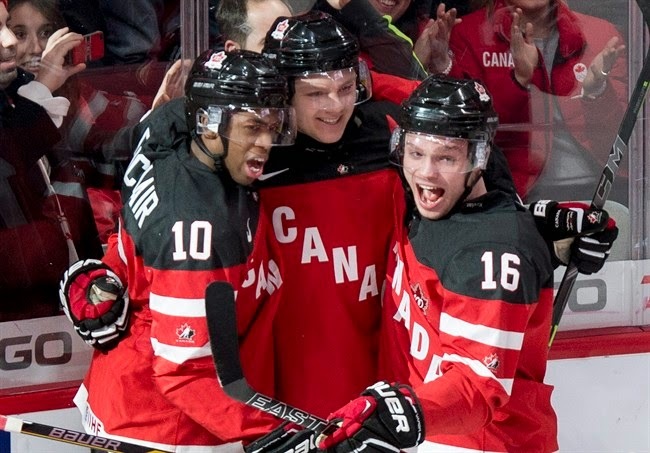 However, Max Domi deposited his second goal of the evening into the empty net, and Canada emerged with a 5-3 victory on Wednesday. Sam Reinhart picked up a goal and two assists as the host country clinched the top spot in Group A with a perfect 4-0 record. Josh Morrissey and Curtis Lazar also lit the lamp while Eric Comrie came up with 25 saves for the win. Anthony DeAngelo provided the other marker but made a costly mistake in the late going for the USA, which lost for the first time in preliminary-round action after winning twice in regulation and once in overtime. Thatcher Demko stood up well to the locals' attack, coming away with 38 saves in the setback. Lazar had given Team Canada that seemingly-secure 3-1 advantage with 9:59 left in the contest, on a hotly disputed goal. He crashed the American crease in search of a Connor McDavid rebound, and though an intra-net camera angle appeared to confirm that he guided the puck into the net off his own body, the score was allowed after a long review. But Larkin struck with 2:34 to play off a nice three-way passing play which originated with Chase DeLeo and ended up on the stick of Hudson Fasching before the Michigan product tapped it home from the left side. Demko was on the bench a short time later, and DeAngelo made a careless defensive-zone giveaway attempting to clear the puck, instead putting it on the stick of Reinhart for the easy tally with 56 seconds remaining. Larkin beat Comrie again, this time in close, and Team USA got back within a goal. Demko was rushed back to the bench off the ensuing faceoff, but his teammates couldn't get the puck from the point near the opposite cage. Reinhart banked a long lead pass into the attacking zone for Domi, who dutifully deposited the puck to make it 5-3. Eichel might have had the best chance for the USA on the game's opening shift, but Comrie turned away his forehand drive resulting from a Tuch pass. In a scoreless opening period, Canada jumped all over their southern neighbors and peppered Demko with 17 shots, but the Boston College sophomore refused to budge. He was dented twice on 12 shots in the second period. as Domi converted a Reinhart pass from the left side at the 7:07 mark thenTeam Canada forged ahead by a 2-0 count just after the midway point of regulation on Morrissey's power-play strike with Larkin in the box for high sticking. DeAngelo -- a South Jersey native -- put the Americans on the board with a man-advantage marker at 13:12, finishing off expert puck movement between Alex Tuch, Sonny Milano and Jack Eichel. A big part of Canada's puck dominance came in the faceoff circle, as the hosts won 42 of 57 draws with Reinhart taking 18 of his 23 tries in the dot. Quarterfinal matchups for both nations are set, as Canada will take on Denmark and Team USA has a date with Russia. Earlier in the day, 2014 Flyers draftee Oscar Lindblom exploded for a natural hat trick in the second period as Sweden claimed a 5-1 decision over Switzerland. Tre Kronor finished with the top spot in Group B at 4-0 and awaits the winner of the late Finland/Germany matchup which takes place later tonight. Lindblom finished preliminary-round play with three goals and four assists. Philadelphia, PA -- Jordan Price led the way with 18 points as the La Salle Explorers defeated the Penn Quakers, 84-67, in the final Big 5 contest of calendar year 2014 on Tuesday night in North Philly. For the Explorers (8-5), Steve Zack added 17 points, nine rebounds and five assists, Amar Stukes and Jerrell Wright each scored 13 and Cleon Roberts chipped in with 12 points as the hosts recorded their fourth win in five outings. Darien Nelson-Henry paced the Quakers (3-7) with 15 points while Tony Hicks finished with 10 points. Both teams shot the ball well in the opening stanza, but it was the Explorers who led at the break, 47-35. La Salle shot 58.1 percent from the field in the half, including 4-of-9 from 3-point range. Penn connected on 56 percent of its field goal tries, including 2-of-4 from beyond the arc. In the second half, the Explorers continued to knock down their shots, hitting on 50 percent from the field, including 2-of-6 from beyond the arc. The Quakers tried to keep pace, shooting 48 percent from the field and 2-of-5 from 3-point distance. Penn was never able to seriously challenge La Salle in the second half, as the Explorers' lead grew to as many as 22, giving them the easy victory over their crosstown rival. La Salle dominated down low, outscoring Penn in the paint, 48-34. The Explorers also finished with a 35-21 rebounding edge for the game. They'll open up Atlantic 10 play this Saturday at George Mason then come home to face UMass on Jan. 7. The Quakers have 11 days off before commencing their Ivy League slate, Jan. 10 on the road against Princeton. Glendale, AZ -- As the Flyers' road trip continued, they could take solace in one thing and one thing only: they failed to surrender a hat trick for the first time in almost a calendar year. Antoine Vermette had a trifecta taken away by the league office, but finished with two goals anyway and the Arizona Coyotes downed Philadelphia by a 4-2 count on Monday. Shane Doan was credited with the goal taken away from Vermette, Oliver Ekman-Larsson also lit the lamp while backup Devan Dubnyk made 30 saves for Arizona, which matched its season high with a third straight victory. R.J. Umberger scored twice 3:02 apart late in the third period to record his first multi-goal effort of the season and first for his old club in more than six years, but the Flyers nevertheless fell to 3-2 on their eight-game road trip. What's more, the Orange and Black lost on this date for the first time since 1971, having racked up 15 wins and a pair of ties since then -- many of those on the road and in earlier time zones on traditional holiday road swings. Steve Mason made his first start since Dec. 18 after missing the ensuing time with a back injury, and was largely sharp save for one score. He ended the night surrendering three goals on 24 shots against. Mark Streit fed Umberger for his first goal with 7:49 remaining in the third, and the Flyers went on a power play less than a minute later down 3-1. They failed to score with the man advantage but kept the pressure on, and Umberger deflected a Sean Couturier shot into the back of the net with 4:47 left on the clock. That proved to be his first two-goal night with the franchise since May of 2008, and his first in the regular season since Feb. 10, 2008. The visitors' best chance in the closing moments came on Claude Giroux's cross-ice pass to Vincent Lecavalier. Lecavalier let a one-timer fly from the right circle, but Dubnyk easily smothered it. Vermette sealed the win with an empty-netter. The Coyotes won a faceoff in front of Dubnyk late in the opening period and caught the Flyers on their heels going the other way. Doan eventually let a shot fly from the point that beat Mason with 1:34 left in the stanza. Vermette was originally ruled to have deflected it in, but Doan was credited with the goal after the game. Mason saved a shot through a screen in the second period, but the rebound spun loose and Vermette was there for an easy goal at the 15:31 mark. Flyers forward Scott Laughton was sent off for hooking 2:02 into the third, and on the ensuing power play, Ekman-Larsson posted his ninth goal of the season with a shot from the point. It was an easily saveable shot for Mason, who was unscreened, though the puck might have ticked off the edge of a blade and slightly changed direction before sliding beneath him. Notes: Ekman-Larsson has six goals in December ... Philadelphia has misfired on 15 straight power play chances in its last six games after failing on two opportunities on Monday ... Arizona has won three in a row at home after dropping nine straight ... Joe Pavelski of the San Jose Sharks (2/27/14) was the last opposing player to score at least three times against the Flyers, in a 7-3 win on both clubs' first game after the Olympic Break ... NHL leading scorer Jakub Voracek was held without a point for the second straight contest for the first time all season, having played to a minus-3 rating. That apparent crippling injury Steve Mason suffered that caused thousands to panic and throw their weight behind a tank for Connor McDavid? Not so bad after all. Following a Sunday practice session in the Phoenix area, Mason reported that he's been cleared to return to action. "Practice was fine. I felt good going back to the hotel after my morning skate. The biggest test I thought was going to be the flight here, being on the plane for 3 1/2, four hours whatever it was," he said. "I thought I was going to tighten up a little bit but I felt great this morning so it's all good news." Mason had to be carried off the ice by team personnel when his back seized up suddenly back on Dec. 19, one day before the Orange and Black departed for the first legs (Toronto/Winnipeg/Minnesota) of their current eight-game trip which finds them in Glendale tomorrow night. The 26-year-old hasn't played since Dec. 18 and suffered a shootout loss to the Panthers in the Flyers' final home game until Jan. 6. He has struggled behind a patchwork defense for much of the season, going just 6-10-5 despite a 2.49 goals-against average and career-best .921 save percentage. "I'm not going to change anything other than making sure I stay as loose as possible, and flexible. I'm going to do a lot of stretching on the ice. I may have to do a little bit more in the warmups just to make sure that we do as much as possible to prevent it from happening again,"Mason stated when pressed on his routine going forward. "I'm not a doctor, but I'm sure it potentially could, just like any other injury. I had a good practice, I was reading the pucks well so that's good enough for me." There is no official word on if Mason will start Monday, and if not, when he would. There has been no official move yet to return Rob Zepp to Lehigh Valley. Zepp has remained with the club since they departed for Canada last week, picking up his first NHL victory at Winnipeg one week ago tonight. Also on Sunday, the club revealed that Ryan White will be sent to Lehigh Valley on a conditioning stint. White has yet to play this season due to a left pectoral tear and subsequent surgery suffered during off-ice training in late August. White doesn't have much time left on a one-year, two-way contract signed in the Summer that he should stick around for at least another year. East Rutherford, NJ -- Mark Sanchez may not be around much longer. If not, he made sure to depart this city on an up note. He threw two touchdown passes and a key play from the Eagles' special teams enabled Philadelphia to end a disappointing December on a high note with a 34-26 win over the New York Giants. Trey Burton's 27-yard run back of a punt blocked by James Casey early in the third quarter helped the Eagles (10-6) halt a costly three-game skid that eliminated the club from playoff contention, while Sanchez put up 292 yards with an interception on a solid 23-of-36 completion rate in the former Jet's return to MetLife Stadium. Jordan Matthews aided Philadelphia's cause as well by coming up with 105 yards and a touchdown on eight catches, with LeSean McCoy contributing 99 rushing yards on 17 carries. The Birds, though eliminated from the playoffs, nonetheless finished with their 10th double-digit win season since 2000. New York (6-10) had a three-game win streak stopped despite 429 passing yards from Eli Manning and career days from Odell Beckham Jr. and Rueben Randle. The Giants ended up with their first 10-loss season since Manning's rookie year of 2004. Beckham finished out a sensational rookie campaign by amassing 185 yards and a touchdown on 12 receptions, while Randle finished with a personal-best 158 yards on six grabs. Manning hit on 28-of-53 throws with one touchdown and an interception. 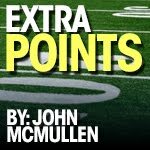 The Eagles led 17-16 at the conclusion of an action-packed first half following Cody Parkey's 32-yard field goal as time expired, then extended the margin early in the third quarter behind their special teams unit. Casey rushed up the middle to get a hand on Steve Weatherford's punt deep in New York territory, and Burton scooped up the free ball at the 27-yard line before racing up the sideline and diving into the end zone. Josh Brown's fourth field goal of the day, a 53-yarder with 4:24 left in the third quarter, brought the Giants within 24-19. However, Randle had a 34-yard touchdown catch on the drive called back on a holding penalty by left tackle Will Beatty. After New York managed just one first down on its next possession, the Eagles created some more distance by marching 65 yards in eight plays. McCoy ripped off a 21-yard run and came up with a 15-yard catch to bring Philadelphia in scoring range, with Matthews adding a pair of receptions that set up Chris Polk's 1-yard touchdown plunge for a 31-19 Philadelphia lead less than two minutes into the fourth quarter. The Giants quickly responded on Beckham's 63-yard catch-and-run touchdown, but Sanchez went 4-for-5 on the ensuing series to set Parkey up for a 39-yard field goal that put the Eagles up 34-26 with 7:56 left. New York's defense forced a three-and-out to get the ball back with 3:45 remaining, but Nate Allen ended any comeback hopes by intercepting Manning and returning the pick 40 yards to the Giants' 18. Both teams were able to easily move down the field on their opening drives, with the Giants churning out 80 yards in six plays to take a 7-0 edge on Andre Williams' 1-yard touchdown that Randle helped create with a leaping 43-yard catch in double coverage. Philadelphia needed just three plays and 71 seconds to answer, as Sanchez hit Matthews on the move and the rookie receiver shook a tackle at the Giants' 30 before sprinting in for a 44-yard score. Sanchez was intercepted by Stevie Brown on the Eagles' next series, but the turnover was negated by a 41-yard pass interference call on Chykie Brown that put the ball on the New York 6-yard line. Philadelphia capitalized when Sanchez found Brent Celek for a 1-yard touchdown on 3rd-and-goal for a 14-7 lead with 6:12 to go in the first quarter. The Eagles failed to reach the end zone again over the remainder of the half, however, as New York went ahead on three Josh Brown field goals. Two catches by Beckham, including a 22-yarder on 3rd-and-5, led to the first of those makes, a 38-yarder late in the initial quarter. The Giants later went 47 yards in 10 plays following Mike Harris' interception of Sanchez to position Josh Brown for a 20-yard field goal that brought New York within 14-13 midway through the second. 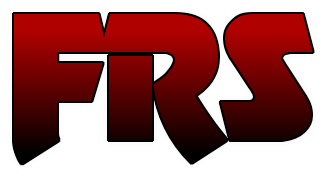 The Giants briefly went ahead on a 36-yard kick just prior to the two-minute warning that Randle helped get in range with grabs of 36 and 25 yards, though his offensive pass interference penalty near the goal line eventually caused the drive to stall. Sanchez then made good on 5-of-6 throws in engineering a two-minute drive that led to Parkey's field goal that concluded the first half. Notes: Beckham posted his ninth straight game with at least 90 receiving yards, tying Hall of Famer Michael Irvin's NFL record set in 1995 ... Weatherford had punted 672 times over a nine-year NFL career without having one blocked ... Parkey finished the season with 150 points, breaking an NFL rookie record previously held by Chicago's Kevin Butler in 1985. The total is also six more than David Akers' franchise record in 2008 ... The Eagles, who shut out the Giants in Philadelphia by a 27-0 score in Week 6, completed their first season sweep of New York since 2010 ... The Giants had 278 total yards over the first two quarters, their highest total in a half since the 2012 season finale against Philadelphia ... Stevie Brown injured his left ankle on his overturned interception and did not return. Bronx, NY -- Mystique and Aura might have made an appearance in the new Yankee Stadium on Saturday night. Christian Hackenberg threw for 371 yards and four touchdowns, including a game-winning 10-yard TD pass to Kyle Carter in overtime as Penn State edged Boston College 31-30 in the Pinstripe Bowl. Tyler Murphy hit David Dudeck for a 21-yard score to conclude Boston College's overtime march, but Mike Knoll missed the ensuing extra point, the Eagles' nation-leading eighth PAT miss of the season. Hackenberg connected with Jesse James for a 17-yard completion on a 3rd-and-15 and then lofted his 10-yard score for Carter in the front left corner of the end zone. Sam Ficken, who nailed a game-tying 45-yard field goal with 20 seconds in regulation, split the uprights on the extra point to give Penn State (7-6) the dramatic victory in its first bowl game appearance since the Jerry Sandusky child abuse scandal. The Nittany Lions appeared in their first bowl game since a loss to Houston in the TicketCity Bowl in January of 2012.
have all of their scholarships returned next year. The Nittany Lions trailed by as many as 14 in the second half. Hackenberg completed 34-of-50 passes, Chris Godwin caught seven passes for 140 yards and a touchdown and Geno Lewis hauled in seven balls for 82 yards and a score for Penn State, which hasn't won a bowl game since beating LSU in the 2010 Capital One Bowl. That victory was later vacated by the NCAA as part of the Sandusky sanctions. Boston College got its vaunted ground game going against Penn State's stingy front seven. Jon Hilliman totaled 148 of BC's 285 rushing yards against the Nittany Lions, who had allowed just 84.5 rushing yards per game coming in. Murphy was 11-of-19 for 97 yards and two scores and added 105 yards and a touchdown on the ground for the Eagles (7-6), who dropped three of their last four games to close the season. The Eagles scored on their first two possessions of the second half to open up a 21-7 advantage late in the third. Lewis was able to corral the deflected ball to claw PSU within 21-14 on the final play of the third. Following a pair of punts, the Nittany Lions found the end zone again midway through the fourth to tie the game. Hackenberg's 25-yard completion to Godwin led to Ficken's game-tying boot on PSU's ensuing series. Earlier, Hackenberg lofted a 72-yard TD strike to Godwin along the right sideline to open the scoring at the 5:22 mark of the first, but BC answered 43 seconds later on Hilliman's 49-yard dash to the end zone. Murphy fired a 19-yard TD pass to Shakim Phillips to cap the Eagles' 11-play, 6:45 trek to open the third. Murphy then broke off a 40-yard TD run later in the period for BC's 21-7 cushion. Notes: No active PSU player had ever won a bowl game ... Penn State outgained Boston College, 453-386 ... The Nittany Lions were 9-of-17 on third down, while the Eagles finished 5-of-16 ... BC averaged 6.3 yards per carry ... PSU improved to 20-4 all-time against BC, although the Eagles won the previous three meetings coming. Portland, OR -- Damian Lillard scored 28 points with nine assists, Wesley Matthews tallied 25 points and the Portland Trail Blazers cruised past the Philadelphia 76ers, 114-93, on Friday. Lillard and Matthews connected on 10 of the Blazers' season-high 18 3- pointers, with Matthews converting 7-of-14 tries from deep. Already playing without center Robin Lopez, LaMarcus Aldridge (upper respiratory illness) and Chris Kaman (child's birth) were both out of the lineup as well. In stepped Joel Freeland, who scored six points and pulled down a career-high 17 rebounds in Portland's fifth straight win at home. "He came in and he played comfortable," Lillard said of Freeland. "He rebounded really well. We knew we were short-handed. We knew that it was going to be a different type of game. I thought we went out there and did what we needed to do." Tony Wroten scored 22 points for the Sixers, who had a season-high two-game winning streak snapped. Michael Carter-Williams added 17 points with six rebounds and five assists. "When you give up what we did from (3-point range) coupled with what we shot from the line... that team can score. 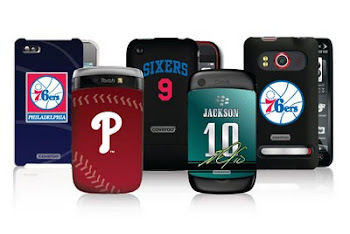 That team can score," said Sixers coach Brett Brown. Philadelphia, which opened up the Western portion of this road trip which takes it to Utah, Oakland, Phoenix and Los Angeles, made just 18 of its 33 attempts from the free throw line. Philadelphia led in the early going before Portland got settled and went on a 13-2 run that Meyers Leonard capped with a dunk for a 19-12 lead. The Sixers trimmed the deficit to one following a Wroten 3-pointer, then Matthews netted a jumper to give the hosts a 27-24 lead after 12 minutes. C.J. McCollum's 3-pointer started a 14-4 run midway through the second quarter that gave the Blazers a 52-37 lead. Philadelphia used a 12-2 run later in the frame to close the gap to six, but Lillard's free throw and Dorell Wright's three stretched the margin to 61-51 at the half. Matthews hit back-to-back treys as part of an 8-0 burst following a Carter- Williams free throw as Portland made it a 69-52 game early in the third. 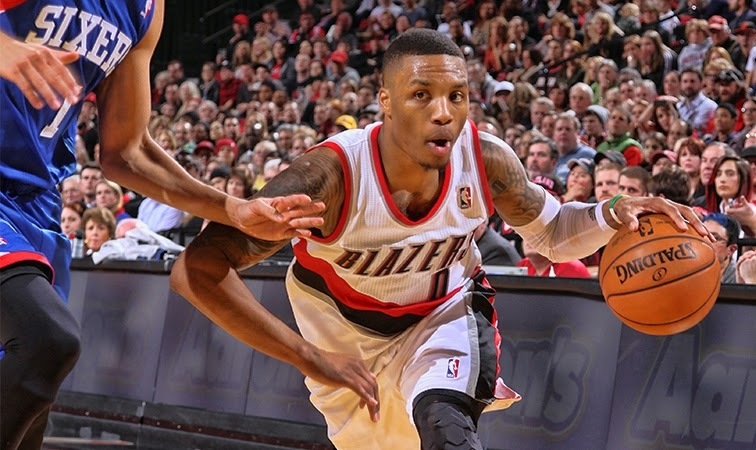 The Blazers led 88-74 entering the fourth and led by as many as 23 in the final period. Notes: The Trail Blazers set a franchise record with at least 15 3-pointers made in back-to-back games ... Portland shot 42-of-88 from the floor, including 18- of-43 from beyond the arc... Nicolas Batum added 14 points in the win ... Philadelphia held a 64-32 edge in the paint ... The Sixers have dropped four of their last five games in Portland. Villanova, PA -- Dylan Ennis led six players in double figures with 17 points, as No. 7 Villanova subdued NJIT by a 92-67 count at the Pavilion in a game which was much closer than the score indicated -- or the matchup might suggest -- for quite some time. Notes: Villanova can match a school record by winning its first 13 in a season for the first time since 1937-38 when it takes on Butler Dec. 31 ... Despite shooting 60 percent (15-of-25 in the first half), the Highlanders made only 9- of-31 in the second half ... NJIT memorably topped Michigan at Crisler Arena by a 72-70 count on Dec. 6 ... Big East player of the week JayVaughn Pinkston totaled 12 points on 10-of-12 shooting from the charity stripe. The final column of 2014: Voracek, Scoracek. On Monday, for the first time all season, a member of the Philadelphia Flyers was recognized with some kind of award by the National Hockey League. It was Jakub Voracek, the current team and league points leader, who came away with Second Star honors. The previous week which saw him tied for second among all players with seven points (3G, 4A) in four games to help the Orange and Black wring to five out of a possible eight points including back-to-back road wins in Toronto and Winnipeg on Saturday and Sunday to kick off an eight-game road trip. Claude Giroux was the last Flyer to gain recognition, with a Third Star mention for March of last year, but Voracek was the club's last weekly winner as First Star for the week ending February 25, 2013. After being held off the score sheet in a 3-1 defeat to the Tampa Bay Lightning Dec. 16, Voracek potted his 12th goal of the season – and also provided his team's lone marker -- in a 2-1 home shootout loss to the Florida Panthers last Thursday. He then took the reins and did the greatest part to help over the weekend, matching a career high with four assists and set a season high by collecting as many points in a 7-4 decision in Toronto then coming up with two goals -- including the overtime winner only 10 seconds in -- to produce 4-3 triumph in Manitoba's capital. The dynamic 25-year-old Czech has posted 14 multi-point efforts already this season, and, along with third-ranking scorer, team captain and line mate Giroux, comprise the league's deadliest 1-2 punch at the moment. A European-trained player, a big part of Voracek's ascension is the confidence he displays with the puck. At the start of his Flyers career, he seemed at times unsure of whether to distribute or shoot, but this season that decisiveness has been on display. It doesn't hurt to have Giroux as a teammate or that others on the ice are able to capitalize. For example, no way the Voracek of two seasons back has the laser-like focus to snap off a one-timer from Giroux and place it on the short side as he did to open the scoring on Sunday night against the Jets. Similarly, his OT winner was a pure solo effort -- forechecking hard enough to get behind Ondrej Pavelec, smart and quick enough to gather the puck once Dustin Byfuglien was separated from it, then confident enough to not immediately look for a supporting teammate to pass -- his instinct to carry out and face the goaltender one-on-one is something which everyone should be looking for on a consistent basis to complete his game. He also lucked into an assist on Saturday, when Scott Laughton took a simple drop pass after Voracek did all the work in traversing behind the Toronto net and rocketed a shot past Jonathan Bernier from the left circle. On the power play, he is no longer adrift in his usual perch in the right circle, taking control of puck movement instead of playing decoy for a stray rebound or cross-ice pass poorly defended. Voracek's continued production is absolutely vital to the relative success the club finds on its remaining six games that will take them across the continent and back to the East before it's over. Anyway, it may come to pass that the fate of the Flyers from a personnel standpoint will be decided as early as the point at which they finally reach home on January 6. The question we should be asking is not whether they should focus on "tanking" for a high draft pick or make deals the minute they become available to facilitate a playoff push. We should be asking GM Ron Hextall which kind of non-playoff team the Flyers should want to be: the kind that lets this unorganized bunch of forwards and defensemen who, depending on the day and mood and game result -- cannot hit, cover their marks, move the puck, produce points consistently, win faceoffs, kill penalties or not be a total Gomer Pyle in general -- limp towards whatever final record becomes them, or does he want to make the kind of deals which ease cap burdens, logjams at center and gives the remaining players time to adjust to one another in order to build towards next season? Is it really worth more to you to have two of what may be the top five scorers in the NHL on the roster while the rest of the supporting offense fails to click consistently and where they can finish in the bottom half of the Metro? Do you believe Craig Berube simply hasn't found the trick to this morass of a lineup because he hasn't worked through all possible combinations with this roster as it currently stands? Will you quit complaining game to game, period to period, shift to shift when an R.J. Umberger makes a mistake or Andrew MacDonald fails to carry the puck out of his own end, be happy with whatever will be, and then adjust your expectations accordingly for next year? What if I were to tell you that Voracek's value in trade is higher than any single player on the team (excepting Giroux whose contract extension and installation as team leader precludes it), and that he would bring at the very least two fresh bodies and possibly three in return given a willing sucker on the other end of the phone? Under duress on social media yesterday, I used the hypothetical situation of a Voracek to the Nashville Predators in a 3-for-1 swap. Based on the club's needs which are a) a reliable top-pairing defenseman, b) a fourth-line center who has decent faceoff ability and c) a dedicated scorer to round out the first forward lines, I thought I came up with something at least meriting debate, if not for the specific team but for the over-arching idea. For those who don't wish to raise your noses, sniff the air and dismiss the mere thought as unworthy, I vouched for Derek Roy, Seth Jones and James Neal. Neal's credentials are self-evident. Jones gives Berube a young player NHL-ready who takes the pressure off wondering when the anointed Phantoms/Canadian junior players will be ready, while Roy gives this club slightly more overall than strict defensive-zone specialist Adam Hall did on the last legs of his career. If you recall, the Mark Recchi to Montreal swap in February of 1995 was not engineered as the blockbuster it became. Bob Clarke simply needed to make a trade which would upshift a team wallowing sixth in a seven-team division and make them playoff-worthy in the short term during a lockout-compressed schedule. John LeClair, though a playoff record holder thanks to his back-to-back road overtime winners in 1993 against the Kings, wasn't projected to be more than a 25-30 goal man at his peak. Eric Desjardins, despite his Cup-game-winning hat trick at the Forum, wasn't considered a game-changer for the Habs. And Gilbert Dionne was a capable third-line player for Montreal. Even after LeClair was placed on a line with Lindros and Mikael Renberg, who could have thought he would eventually be placed in the Pantheon of goal scorers along with Reggie Leach and Tim Kerr? Who thought that Rico would not only be the best blueliner on the team, but be worthy of a night in his honor as one of the franchise greats? And the sucker at the time was Serge Savard, who felt the relentless heat and weight of history as the Canadiens slid to the bottom of the Northeast Division less than two years from winning their last Stanley Cup. That deal did more than anything else to seal the end of his 12-year tenure as Habs GM. At the time, Recchi was coming off two straight 100-point seasons but was struggling mightily to score at the outset of the year (five points in 10 games), so his value wasn't as close to being as scorching hot as Voracek's is right now. 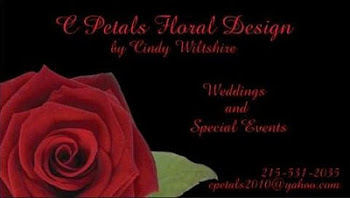 Do it or don't do it, the possibility is too tantalizing not to let it haunt you for a few moments. If that's no better than what the club ices night after night on its roller-coaster ride towards irrelevance, and you think Hextall needs to deal, which team provides the right pieces and who would be the next subject of P.T. Barnum's famous quote? Just like in high school math, show your work. No horrible puns here, nor will there be fawning, praiseful human-interest content on Rob Zepp winning his NHL debut on Sunday in Winnipeg. It was memorable that his teammates picked him up and erased a two-goal deficit at the outset of the third period to win and we hope he has about 20 more of those up his sleeve for Lehigh Valley. Sergei Bobrovsky: 29 saves in a 3-2 win at Pittsburgh on Oct. 7, 2010. Antero Niittymaki: 20 saves in a 5-1 win against Washington on Feb. 4, 2004. Ron Hextall: 22 saves in a 2-1 win against Edmonton, October 9, 1986. Bob Froese: 24 saves in an 8-4 win against Hartford, Jan. 8, 1983. Robbie Moore: 22 saves in a 5-0 win against Colorado, Mar. 6, 1979. Pete Peeters: 16 saves in a 4-1 win against St. Louis, Dec. 17, 1978. The Flyers -- their players, coaches, trainers, support staff and their equipment -- are about to land in Minnesota, one of the four clubs which was hit hard by the mumps early in the season after an October road trip which took the team to Southern California. It's the third stop of this elongated run between the calendar years, and the last one before a four-day holiday break and return to Nashville. Ron Hextall was asked for his feelings on the matter, apropos of nothing, last week. The following is what should concern us most about the team's overall future health. Extra vaccinations are smart. Not to be trite, but you can't catch mumps from sitting in your stall or on a leather couch. And yes, dumping gallons of chemicals all over the place and encouraging repeated hand-washing takes care of a lot of psychological or psychosomatic issues. Where players can be afflicted without much notice is in close contact on the ice. Hextall missed an obvious way in which mumps can be spread: aerosolized droplets of saliva that escape whenever someone speaks. That means keeping a close watch on what spills out when mouth guards are removed. It also extends to the nastiness which results from face-washes and spittle that can be transferred when trash-talking between whistles. But what do you do about it as a head coach? Short of playing mommy and reminding his charges about manners, or adopting college rules where full plastic face shields are the norm, it seems odd for Berube to encourage his team to hit hard, but embrace a "say it, don't spray it" mindset when you've got a hold of an opposing player. Actually, there is one thing Chief can do, he can tell Giroux to quit the juvenile antics of biting another player's jersey just for kicks. The Penguins just sent three more players home to be tested, and there are an untold number of other players who may become infected in the near future. Luckily, the Flyers don't play Pittsburgh until late January. They do, however, face the Devils, who claim two players stricken, at the end of the road on January 3. By the way, did I happen to mention that mumps can cause sterility in the adult male population? Philadelphia, PA -- A contest deemed too big for the small building on North Broad Street yielded surprising results at the other end of the thoroughfare. Will Cummings had 19 points and Temple rolled to a 77-52 upset of No. 10 Kansas on Monday night for its first win over the Jayhawks in exactly 19 years. 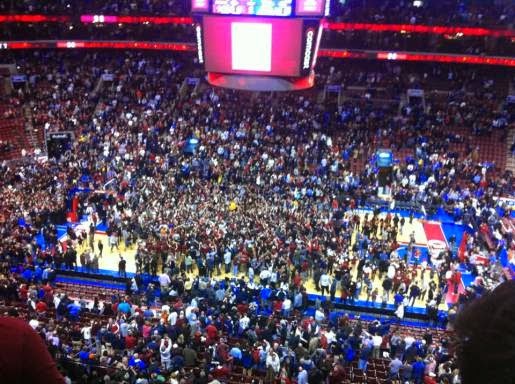 It came 19 years to the day since Temple's last win over Kansas, a 74-66 upset of the No. 1 Jayhawks in overtime on Dec. 22, 1995, during the inaugural Jimmy V Classic in East Rutherford, New Jersey. Frank Mason III scored a game-high 20 points to lead Kansas (9-2), including 13 in the first half to keep the Jayhawks in the building. Kansas had won eight in a row since its 72-40 loss to Kentucky on Nov. 18. Temple arrived to the Wells Fargo Center via the Broad Street Line, riding the underground train six miles from its North Philadelphia campus to the South Philadelphia sports complex. The jubilation evident as the final seconds ticked away will be headed right back in the opposite direction to campus later tonight. with 9 1/2 minutes remaining. Notes: Kelly Oubre Jr. scored nine points for the Jayhawks ... Jaylen Bond had eight points and 10 rebounds for the Owls ... Kansas had won the last three games in the series ... The Jayhawks are off until they host Kent State on Dec. 30 ... Temple hosts Delaware State on Sunday. 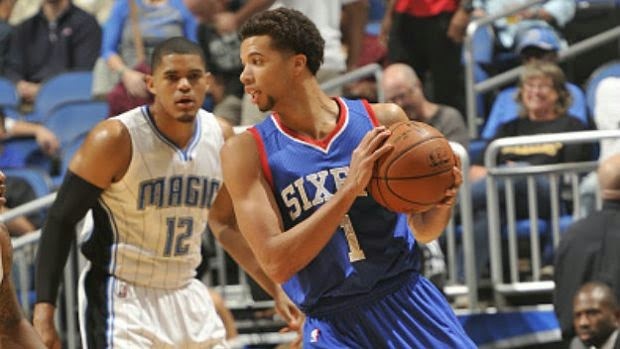 Orlando, FL -- Behind 21 points and six assists from Michael Carter-Williams, the Philadelphia 76ers started a seven-game road trip with a 96-88 win over the Orlando Magic. Five players reached double figures for Philadelphia as it ended a five-game losing streak. Nerlens Noel posted 13 points and 12 rebounds, while Henry Sims and Robert Covington joined Noel by posting double-doubles as well. Sims had 12 points and 12 boards, with Covington recording 11 points and 10 rebounds. Victor Oladipo led all scorers with 23 points for the Magic, who have lost four straight and six of their last seven. Despite getting 19 points and 17 rebounds from Nikola Vucevic, Orlando was outrebounded by Philadelphia 52-43. Orlando extended its lead to as much as 11 in the third quarter but it would last just one possession. After a 76ers timeout, JaKarr Sampson hit a 3 that started a 7-0 burst to make their deficit a more manageable four points. The Sixers scored the last eight points of the period to lead 64-60 after three. That run continued into the fourth quarter and after seven straight points in the first 2 1/2 minutes, Philadelphia led by 11. Sims capped the 15-0 run with a layup and emphatic slam dunk. Evan Fournier scored four straight points to cut Orlando's deficit down to seven points, but Carter-Williams wrapped up a 6-0 run with a 3-pointer to extend the Sixers lead to a game-high 14 points. Philadelphia did not make a shot from the floor in the final 3 1/2 minutes of the game, but it held Orlando off to come away with the victory. Neither team led by more than five points in a back-and-forth first quarter. A late 8-0 run with four points from both Covington and Sims helped give the Sixers a 23-20 lead after 12 minutes. A 9-0 Magic run halfway through the second period gave them a lead they would only briefly relinquish in the second period. Kyle O'Quinn's triple started the spurt and he ended it with a layup after grabbing an offensive board. Tobias Harris scored the final five points of the quarter to give Orlando a 42-37 lead at the break. Notes: Vucevic has 100 career double-doubles ... The 76ers have committed 17 or more turnovers in nine straight games ... Philadelphia snapped a six-game losing streak at Orlando ... The three-game season series between these teams concludes on Feb. 22 in Orlando ... Philadelphia heads south to Miami to continue its trip Tuesday while the Magic host Boston. Winnipeg, MB -- When Airship One touches down in the Twin Cities ahead of Tuesday night's game with the Wild, the Philadelphia Flyers will find themselves attempting to put together their first three-game win streak in six weeks. Rob Zepp stopped 25 shots in his NHL debut and Jakub Voracek's second tally of the contest came just 10 seconds into overtime as the visitors pulled out a 4-3 win over the Winnipeg Jets at MTS Centre on Sunday night. Zepp stopped a wide-open shot by Mark Scheifele in the waning seconds of the second period to keep his club behind by just two goals, and his offense picked it up late. Vinny Lecavalier was credited with both third-period scores which occurred in a span of just over 10 minutes. Matt Halischuk and Dustin Byfuglien scored in a 55-second span early in the first period, Mathieu Perreault added a second-period marker and Ondrej Pavelec stumbled to a 19-save defeat. Philly hasn't won three in a row since Nov. 4-8, and hadn't won both ends of back-to-back games all season, improving to 3-10-1 in seven sets of such games this year. On the first shift of the extra session, Claude Giroux pressured Byfuglien behind his own net long enough for Voracek to fish the puck out of the scrum, skate back in front, and chip a shot through Pavelec. Byfuglien and Flyers head coach Craig Berube then briefly exchanged words as the teams exited the ice, since the former used his considerable heft to take a run at Giroux and then slash the stick out of the hands of both Wayne Simmonds and Brayden Schenn on a late-game power play. Byfuglien later leveled Schenn with a clean hit in the defensive zone as well. Zepp, who became the oldest goaltender at 33 to make his NHL bow since Ross Brooks of the Bruins in 1972, was buoyed early by two of the top three scorers in the league on the game's first shift. After staving off Winnipeg's initial salvo, Giroux threaded the needle cross ice over two Jets players' sticks for a successful one-timer by Voracek from the left wing only 46 seconds in. But the Jets recovered by capitalizing on shoddy Flyers defense to take the lead a short time later. On the hosts' first goal, Halischuk snapped a 27-game goal drought by corraling a failed Sean Couturier clear and hammering a shot past Zepp at the 6:38 mark. Then, it was Byfuglien who was allowed to walk out of the right-wing corner, cut in front and lift a shot from in close while no defenseman closed in, at 7:33. Despite trailing, Zepp acquitted himself well by stopping 15 shots in the opening 20 minutes. It was a familiar situation for the former Eisbaren Berlin backstop, who was facing more than 30 shots per game under Terry Murray in Allentown. Perreault provided Winnipeg a 3-1 advantage with 7:39 to play in the second. Michal Frolik had flipped a shot near the Flyers' crease where Scheifele crashed the net and managed to work the puck loose. Andrew MacDonald, who appeared to have the area to Zepp's right sealed off, couldn't react in time as the disc came out to the right side for an easy tap-in. Scheifele had a dead-on chance to put the game away in the Jets' favor, but as he moved to the left side of the crease, Zepp did the splits on his belly and managed to catch a piece of the shot with his skate and push it out of harm's way. Yet the Flyers weren't really galvanized until Mark Streit unleashed a floater which hit Lecavalier in the backside and caromed past Pavelec just after the six-minute mark of the third in a 4-on-4 situation. They were given two more cracks at tying the game when Evander Kane and Grant Clitsome were sent off one second apart, but failed to do more than move the puck from side to side with little offensive thrust. Their break came with 3:34 on the clock. After an offensive right-circle faceoff win, Chris VandeVelde dove forward to knock the puck into the slot, where a patient Lecavalier fired home to the short side for a 3-3 deadlock. Though the North Dakota product clearly didn't have to fight for possession, official scoring has denied him a second assist of the game for his effort. Voracek and Giroux are tied for tops in the NHL with 30 assists, and the former leads the overall scoring ledger with 44 points thanks to four more goals than his line mate and team captain. Notes: Zepp had gone 8-5-4 with a 2.70 goals-against average, .918 save percentage and one shutout in 17 appearances for Lehigh Valley in the American Hockey League ... Hugh Lehman was 41 when he won his professional debut for Chicago in 1926 ... Voracek's marker was the quickest in overtime for the Flyers since Simon Gagne set a franchise record with his goal seven seconds into OT at Madison Square Garden in a 4-3 win over the Rangers on Jan. 5, 2006 ... Lecavalier scored his first goal since Nov. 1 in Florida, a span of 15 appearances and 22 games, counting the times he was scratched healthy or unhealthy ... His last two-goal effort came on March 30 against the Boston Bruins ... Streit was a game-best plus-4 while Nicklas Grossmann compiled a plus-3. Toronto, ON -- Claude Giroux and Jakub Voracek have done more than most of their teammates combined to keep the club relatively close to the playoff picture in the first one-third of the season. They were clearly going to be counted on to carry the team on their backs facing an eight-game road trip without the services of their starting goaltender. On Saturday night, in front of an international audience, the twosome combined for eight points, and the Philadelphia Flyers stormed back from an early two-goal deficit to post a 7-4 victory over the Toronto Maple Leafs at Air Canada Centre. 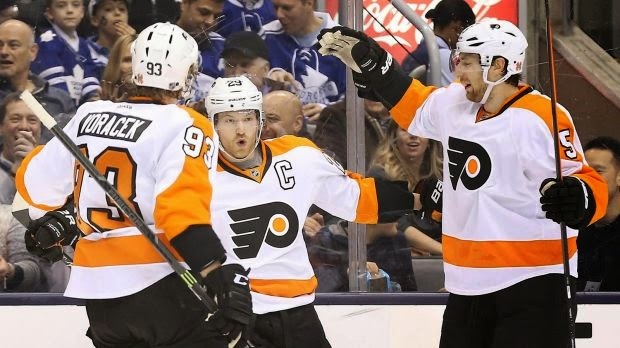 Giroux accounted for two goals and two assists, while Voracek notched four primary helpers. Michael Raffl and Sean Couturier each gave a goal and an assist for the Orange and Black, who snapped a two-game losing streak to open their trip. Philly heads to Winnipeg on Sunday to complete their seventh set of back-to-back games, having upped their overall record in such contests to 2-10-1. Craig Berube's wheezing charges have somehow managed to record points in seven of their last eight (4-1-3). Though shaky in the early going, Ray Emery allowed four goals on 25 shots in the victory, his second straight. He was pressed into duty after Steve Mason's apparent back injury suffered in Friday's practice left him away from action for at least the first two games of the trip. Joffrey Lupul posted a goal and an assist while James van Riemsdyk, Peter Holland and David Clarkson all scored for the Maple Leafs, who have dropped their past two because they couldn't hold onto leads of 2-0 and 3-2 in a wild opening period. Jonathan Bernier allowed all seven goals on 41 shots, while James Reimer played the final 10 1/2 minutes and stopped the lone shot he faced. The Maple Leafs got off to a hot start, scoring the first two goals and getting things started at 4:51 on Lupul's one-timer off a backhand pass from Morgan Rielly. Less than a minute later, van Riemsdyk scored on the power play when he redirected a slap-pass from Cody Franson for his 14th goal of the season. Usually out of things by this point, the visitors somehow managed to snap back to attention and tied the game with a quick pair of their own, as R.J. Umberger chipped in a Couturier rebound at 11:18, and it was Couturier three minutes later as his one-timer off a Matt Read feed found the back of the net. It took just 15 seconds for Toronto to get the lead back, as Clarkson's snap shot from the left circle went over the glove of Emery. Giroux responded by scoring his first of the game just 11 seconds after that on a give-and-go with Voracek. The three scores in a span of 26 seconds by both teams set a new Flyers franchise mark for combined goals by two teams, according to Elias. At 3:52 of the second, the Flyers went on top for good on a goal which Bernier simply needed to stop with relative ease. Nicklas Grossman sent a hard shot from the left point that kicked off the end boards, hit off the back of Bernier's right leg and slid in. The Flyers made it a 5-3 game with 3:57 to play in the second as the captain scored a skilled players' goal. Giroux took a pass at the low left side from Voracek, held the puck as he skated towards the goal line, and snapped the puck under the crossbar from a sharp angle for his 10th of the season. Scott Laughton scored off a wrister from the left circle thanks to a nice set- up by Voracek at 5:47 of the third, and it was Raffl near the midway mark of the period finishing off a 2-on-1 break for his ninth of the season. Wayne Simmonds did the set up, carrying up the right wing and waiting until Dion Phaneuf unnecessarily dove before dishing back into the slot for the easy marker. Holland's goal with just over six minutes to play accounted for the final score. Notes: The Flyers last hit seven goals on the road against the Leafs in a 7-1 decision on March 29, 2012, and last posted a 7-4 score in Toronto on November 4, 1989 ... Toronto opens a seven-game road trip in Chicago on Sunday ... It was a season-high in goals scored for the Flyers, whose previous best occurred in a 6-5 overtime road victory against the Stars on Oct. 18 ... Toronto was 1-for-4 on the power play, while Philadelphia failed on all three of its chances ... Read finished with two assists, as did Toronto's Phil Kessel ... Phaneuf and Nazem Kadri finished with game-worst minus-4 ratings ... Giroux also won 17 of his 22 faceoffs, and Leafs forward Tyler Bozak ended up winning 12-of-20 draws ... Rob Zepp was recalled from Lehigh Valley of the AHL to serve as Emery's backup, and who may see his first NHL action against the Jets in the second half of a back-to-back. 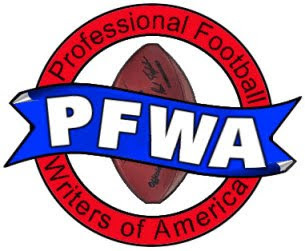 Landover, MD -- Kai Forbath kicked a 26-yard field goal with five seconds remaining to lift the Washington Redskins to a 27-24 win over the Philadelphia Eagles on Saturday. The Redskins snapped a six-game losing streak and dealt a significant blow to the Eagles' playoff hopes. Philadelphia has lost three straight games since a Thanksgiving win at Dallas gave it sole possession of first place in the NFC East. A win at home by the Cowboys against the Indianapolis Colts on Sunday will eliminate the Eagles from postseason contention. "One game left. We got to get ready and focused for the New York Giants. We got to win that game," said Philadelphia coach Chip Kelly. The Eagles (9-6) have been prone to turning the ball over this season and cornerback Bashaud Breeland intercepted Mark Sanchez's pass at the Washington 42-yard line inside the two-minute warning. Robert Griffin III then threw a short pass to Pierre Garcon, who spun out of a defender's grasp for a 23-yard gain. A roughing the passer penalty tacked on 15 more yards and the Redskins added one more first down, forcing Philadelphia to use each of its three timeouts before Forbath nailed the go-ahead kick. The Eagles, who had erased a 24-14 deficit, were still alive with three seconds remaining because Forbath drilled Trey Burton with the kickoff at midfield. Cornerback David Amerson knocked down Sanchez's pass in the end zone to end the game. Griffin completed 16-of-23 passes for 220 yards with one interception and Darrel Young had two 1-yard touchdown runs in the third quarter for Washington (4-11). "Love the way our team battled and competed," said Redskins coach Jay Gruden. "There's been a lot of talk about people quitting and you can see what type of guys we have. Guys didn't quit." Sanchez was 37-of-50 for 374 yards and threw two touchdown passes to Riley Cooper. 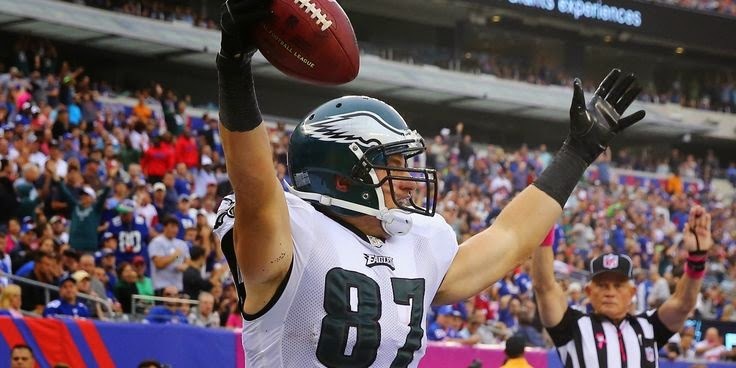 Tight end Zach Ertz set an Eagles franchise record with 15 catches for a career-high 115 yards. A rough third quarter actually began favorably for the Eagles, who started in the red zone after Andre Roberts fumbled the opening kickoff of the second half. Philadelphia failed to capitalize on the turnover when Cody Parkey missed a 34-yard field goal wide right. Washington benefited from a pair of roughing the passer penalties on their next drive. The second infraction set up the first of Young's two short touchdown runs on 1st-and-goal. The normally reliable Parkey then missed a 46-yard try wide right after LeSean McCoy was wrapped up for no gain on 3rd-and-1 at the Washington 28. The rookie had missed only two attempts (29-of-31) through the first 14 games. On the ensuing Washington drive, former Eagle DeSean Jackson caught a 55-yard pass, beating cornerback Bradley Fletcher on the play, and drew a pass interference penalty in the end zone. Young scored to give the Redskins a 24-14 lead with 26 seconds left in the third. The Eagles rallied as Sanchez found Cooper for a 16-yard touchdown and Parkey made a 22-yard field goal following a Griffin interception. Philadelphia coughed the ball up on the game's opening drive. Linebacker Ryan Kerrigan forced a Sanchez fumble on a sack and made the recovery at the Philadelphia 47-yard line. Forbath kicked a 25-yard field goal to give Washington a 3-0 lead. The Redskins' defense then made a stop, but Breeland was charged with an illegal use of hands penalty to extend the drive. Instead of a three-and-out, the Eagles marched 79 yards in 10 plays. McCoy ran around the right end for an 11-yard touchdown. The Redskins regained the lead with a quick response. Jackson beat Fletcher for a 51-yard grab. The catch put Jackson over the 1,000-yard mark for the season. Alfred Morris rumbled 28 yards for a touchdown on the next play to make it 10-7 with 19 seconds left in the first quarter. The Eagles moved back in front with a 15-play, 93-yard drive in the second quarter. Sanchez converted a 3rd-and-25 with a 26-yard pass to Jordan Matthews and later hit Cooper on a 3-yard slant for a touchdown. Philadelphia looked to add to its lead before halftime, but punted after reaching the Washington 40. Notes: Philadelphia leads the league with 35 turnovers ... Morris rushed for 83 yards on 21 carries. He joined Stephen Davis (1999-2001) as the only running backs in team history to rush for 1,000 yards in three consecutive seasons ... Kerrigan became the first Redskins player to record a sack in five consecutive games since Fred Stokes in 1991 ... Jackson is the fifth player to reach 1,000 receiving yards in his first season with Washington. Bobby Mitchell (1962), Henry Ellard (1994), Laveranues Coles (2003) and Santana Moss (2005) also accomplished the feat ... Parkey tied an Eagles rookie record for made field goals with 30. Paul McFadden set the mark in 1984. Philadelphia Flyers goaltender Steve Mason left a Friday practice session with an upper-body injury and is expected to miss his club's back-to-back games in Toronto and Winnipeg this weekend. Mason, who made 31 saves in Thursday's 2-1 shootout loss to the Florida Panthers, appeared to suffer some kind of spasm, which was severe enough that he had to be taken off the ice by team personnel. Timing of this injury to the Philly starter could not have been worse, with the Flyers about to embark on an eight-game holiday road trip mired in sixth place in the Metropolitan Division at 11-14-6. The road trip kicks off Saturday against the Maple Leafs and in a quick turnaround, heads to Manitoba's capital on Sunday before heading to the Twin Cities on Dec. 23. Following a four-day Christmas break, the swing resumes in Nashville and continues through Jan. 3. Mason has gone just 6-10-5 this season, but holds a goals-against average of 2.49 and .921 save percentage. Though the club has not made it official, it is expected that Rob Zepp -- the starting netminder for the Lehigh Valley Phantoms in the AHL -- will be recalled to back up Ray Emery. Should Zepp get the call, he'd be in line to make his first NHL start after 14 professional seasons, in a career which began in 2001 with Florida of the ECHL and took him to Finland and Germany before coming back to North America this season. 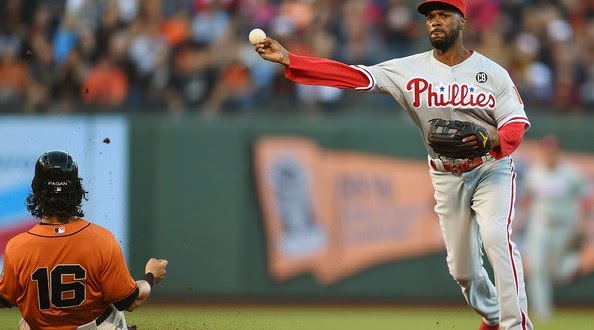 The Phillies announced Friday morning they finally were able to agree on a selling price for shortstop Jimmy Rollins and cash to the Dodgers for minor league pitching prospects Zach Eflin and Tom Windle. The deal ends a 15-year run for Rollins from 2000-14 that included one World Series championship, two National League pennants, five NL East titles, one NL MVP, three NL All-Star appearances, four Gold Gloves, one Silver Slugger Award, memorable predictions and proclamations, a 38-game hitting streak and a franchise-record 2,306 hits. "Jimmy is both an iconic player and person whom I have had the great joy of watching grow up in this game and this city," Phillies general manager Ruben Amaro Jr. said in a statement issued upon the trade announcement. "His contributions to the franchise and to Philadelphia are unparalleled, and I wish him the best in Los Angeles. This transaction is one that I believe benefits both Jimmy and the Phillies." Rollins had been the longest serving member of the club, having been called up to Terry Francona's squad in September of 2000, mere months after another championship cornerstone, Pat Burrell, made his big league debut. Now, second baseman Chase Utley -- rumored to be the next player out of town -- holds that distinction, having been sent to the majors while the Phils still played at the Vet in 2003. "The Dodgers are very lucky to acquire a player like Jimmy," Utley added. "I've said it time and time again that Jimmy makes everyone around him better. The team will miss his leadership on the field and his infectious smile, but most of all, I will miss our pregame handshake." Rollins keyed the Phillies' memorable stretch of five straight division titles from 2007-11 with one of the most electrifying seasons in recent memory. To aid the club in their first NL East crown since 1993, he hit .296, collected 20 triples, 30 home runs, 38 doubles, drove in 94 runs, scored a league-high 134 runs and accumulated major-league highs of 716 at-bats, 778 plate appearances and played in all 162 games. It was a cinch he was selected as the National League MVP following the campaign. All told, the Oakland, CA native appeared in 2,090 games as a member of the Phillies, while collecting a .267 average, 216 homers, 887 RBI, 453 stolen bases, 111 triples, 479 doubles, 1,325 runs scored and a .983 lifetime fielding percentage. He moves on as one of just four shortstops in MLB history to record at least 200 homers and 2,000 hits at the position, along with Derek Jeter, Cal Ripken, Jr. and Miguel Tejada. Philadelphia, PA -- Dave Bolland was the latest player who helped keep the Philadelphia Flyers' shootout woes intact, as his marker to start the sixth round of the game's final segment proved to be the decider in the Florida Panthers' 2-1 victory on Thursday night. Brandon Pirri began the breakaway competition by essentially lulling Steve Mason to sleep before sticking a shot home, and Jakub Voracek managed to keep the hosts in it with a pretty backhand score to complete the third round. Although Florida hit two posts which could have ended up making the difference, Roberto Luongo stopped a relatively harmless chance by Sean Couturier to end the contest. "I wasn't able to shut the door on Voracek, but the second time around you really want to hunker down and make the save for the boys.… We just want to keep it going. These points before Christmas are huge for our club. We got two more big games left," Luongo noted. Thus, the Orange and Black completed their homestand at 2-1-1, and the Panthers won the season series 2-1-0. Philadelphia faces an eight-game, 16-day trip which begins in Toronto on Saturday and doesn't end until Jan. 3 in New Jersey. The club's next home date is three days later against the Ottawa Senators, and there are still questions why the team cannot find its motivation 31 games in. "There were some good things and bad things. We've just got to up the intensity. I have no idea (why it happens) ... I honestly don't," Mason said, exhaling deeply. He's given up three goals in the last two games and the Flyers have rewarded him with three goals and managed to take one point. "Guys have to step up. It can't just be a couple guys to provide the spark, it's got to be everybody." Story of the whole mess of a season, right there. Mason stopped 31 shots, and his club was only able to reach overtime thanks to a spectacular diving glove save at the left post on Pirri after Scott Laughton decided it would be prudent to carry the puck and try to deke past a Florida forechecker shortly after the midway point of the third period. Once there, the home team showed the hunger necessary to win, but which had been lacking for most of regulation. Luongo made a nice glove stop on Mark Streit with 1:32 left and swallowed up a Matt Read slap shot with 41.2 seconds left. He also made a nice glove stop on an Andrew MacDonald shot off a 4-on-2 Flyers rush with 11.4 showing. MacDonald is still one point away from 100 for his career. Florida didn't show any ill effects from participating in an epic, NHL record 20-round shootout on Tuesday. The hosts caught a break early in the game, when a deflection from Sean Bergenheim that fooled Mason and beat him to the right post was shown upon review to have been tipped out of the air and well above the crossbar. They weren't so lucky at the 9:37 mark, when Scottie Upshall drove the net and outmuscled Nick Schultz so that a Tomas Kopecky centering feed caromed off his body and into the net. Luongo was barely tested for his eight-save opening 20 minutes, which his club led at one point on the shot board by a 12-4 count. Both sides continued to largely sleepwalk their way through the early part of the second period before Jakub Voracek -- one of those few guys Mason hinted were the team's spark-producers -- scored to tie the game. Most of the credit and work goes to Pierre-Edouard Bellemare, who initially controlled the puck along the right wing, then briefly lost it as he curled to face the rest of the ice behind Luongo. He regained possession and found Voracek in his usual position in the right circle to convert his 12th goal of the season. It was also his 38th point of the year, pulling him into a tie atop the NHL scoring column with Tyler Seguin and Evgeni Malkin. "That's something we definitely have to work on, we're definitely not intense enough and tonight we came out and the first period was not intense again," Bellemare said. "We have to figure out a way to be like this all the time, when we're like that (in the second period), we play well." Notes: Thursday marked the 10th one-goal game for the Panthers in their past 11 outings, and their 22nd in 30 games this season (12-2-8) ... Florida improved to 4-4 in shootouts, while Philadelphia fell to 0-5 this season and has dropped 10 in a row since a win at Vancouver on Dec. 30, 2013 ... Vinny Lecavalier made his return to the lineup after a seven-game absence due to being a healthy scratch and a lower-body injury, playing 11:08 and going shotless with a minus-1 rating ... Pirri was inserted into the lineup after Brad Boyes was a late scratch due to an apparent back issue ... The win was the 385th of Luongo's career, tying him with Mike Vernon for 12th on the all-time list. 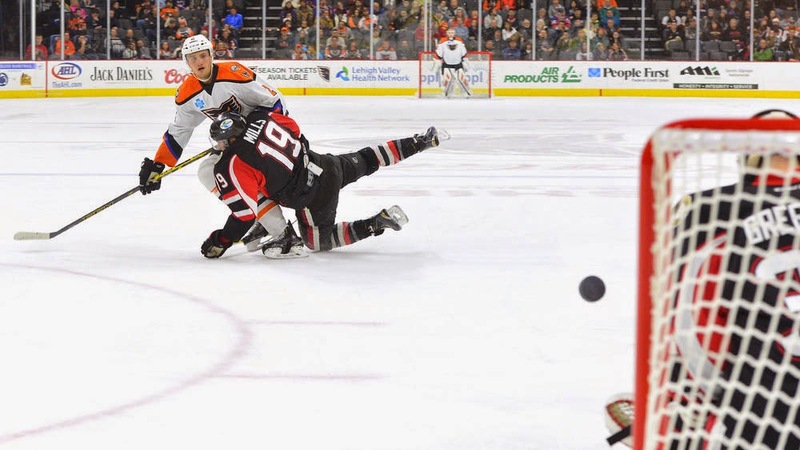 ALLENTOWN, PA. -- The Lehigh Valley Phantoms matched an American Hockey League record on Wednesday night, scoring three goals in the span of 21 seconds en route to a 5-3 win over the Binghamton Senators. Those three goals were scored in the game’s opening 36 seconds, to boot, which also gave the hosts a new AHL record from the start of a contest by a single club. Petr Straka opened the scoring 15 seconds into the game for his seventh of the season, which was answered 12 seconds later by Jason Akeson’s third of the season. Nine seconds after that, Andrew Gordon made it a 3-0 game. Senators head coach Luke Richardson had seen enough from goalie Andrew Hammond, and pulled him following Gordon’s tally. Hammond’s night ended with three goals allowed on as many shots, with Scott Greenham playing the mop-up role for the Sens. Nick Cousins also added two goals on the power play, for his fifth and sixth goals of the season, respectively. His marker just over two minutes into the second period gave the Phantoms a cozy 4-0 lead, and added the team’s fifth goal with 4:23 to play in regulation. Following their three-goal outburst, the Phantoms (12-11-4) played the rest of the first period on their heels, relying mainly on a dump-and-chase approach. They were able to muster just three shots over the remaining 19 minutes, compared to a hearty 15 for the B-Sens. All three Senators goals came on the power play in the game’s back half of regulation, courtesy of Alex Grant (second period, 14:06), Chris Wideman (third period, 2:33) and Derek Grant (third, 19:39). They capitalized on three of seven man-advantages, while the Phantoms went 2-for-6 on the power play -- which stands now at 13th in the AHL by operating at a 17.6 percent clip. Alex Grant's score came with a bit of controversy, because extensive replays demonstrated the puck went through the netting from the outside. Zepp was astounding between the pipes once again for the Phantoms, making 41 saves on 43 shots. Greenham managed to turn away 25 of the 27 shots he faced. Binghamton (12-11-3) entered the game one point ahead of the Phantoms in the East Division standings, and the Phantoms’ win supplanted them, as they stand now at 28 points -- three points behind second-place Hershey, and seven points behind first-place Wilkes-Barre/Scranton. The Phantoms will play twice more -- at home against Hershey on Friday, and at Hartford on Saturday -- before enjoying the AHL’s winter holiday hiatus. NOTES: The Phantoms’ five goals matches their single-season high, set thrice this season (Oct. 11, Oct. 25 and Dec. 7). … The game’s regulation finish was the first at PPL Center since Nov. 29. … Cousins’ two-goal effort was the first multi-goal night of his career. … The Phantoms’ previous record for fastest three goals came in a 31-second span against the Baltimore Bandits on Dec. 9, 1996 -- the franchise’s first year of existence when it operated in Philadelphia … The AHL record for fastest three goals is 20 seconds, set in a Dec. 14, 1997 tilt between the Springfield Falcons and Worcester IceCats, though both teams split the three goals ... Blair Jones returned to the Phantoms' lineup after being a late scratch on Sunday in Atlantic City due to illness.